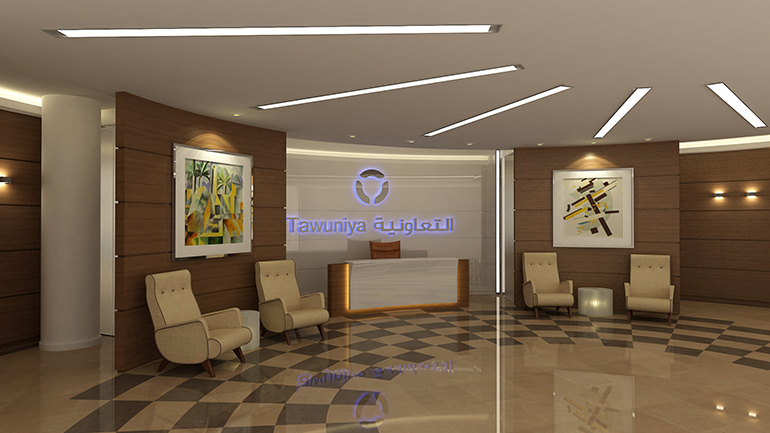 Tawuniya, the leading provider of insurance services in the Kingdom of Saudi Arabia commissioned us to redesign their executive floor located on the penthouse of their headquarters in Riyadh reflecting the specific requirements for access, privacy and efficiency. 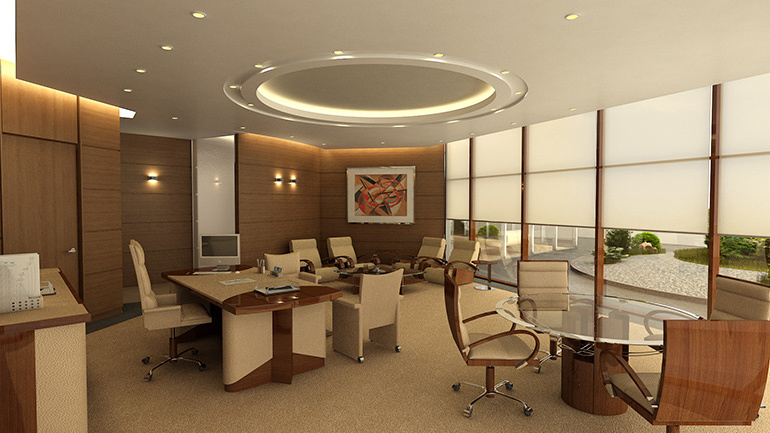 Accomplished in a tri-part organization, the redesign accommodates luxury offices for COO and CEO in the center, VIP facilities and office suite for the supporting staff at each end respectively. 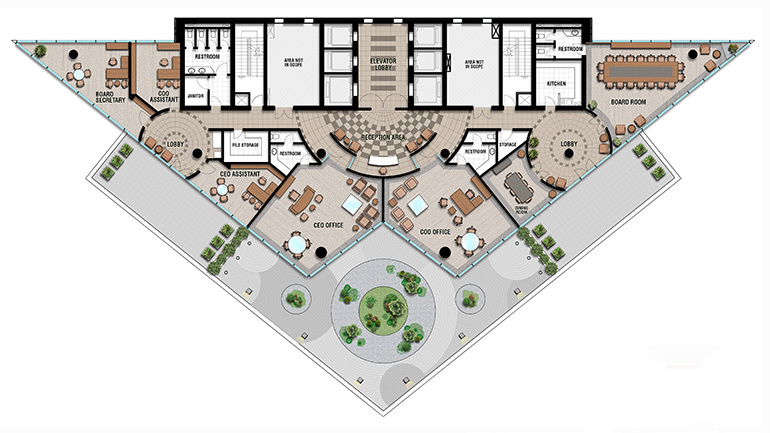 The requirement for both COO and CEO access and privacy was achieved by a series of concentric semi-circular walls that define the main reception lobby and act as private corridors leading to the executive offices. 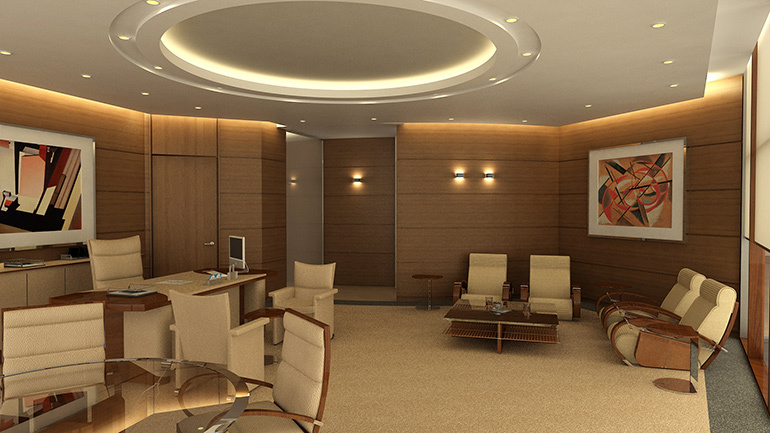 The two side zones serving the VIP guests and the office suite for the supporting staff are each organized around circular lobbies. The use of light wood in combination with a two-tone floor pattern in a variety of concentric motifs harmonizes the tri-part organization of the floor into the unified whole. 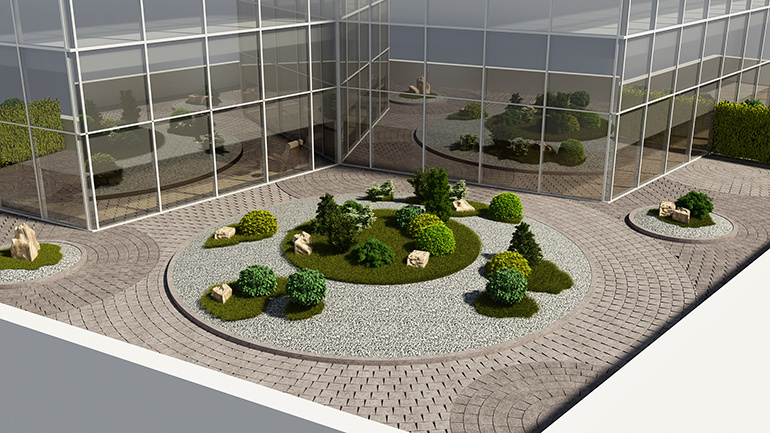 On the exterior, each zone has been provided with a private garden.